New Panther Tire “Ocelot” Tire! 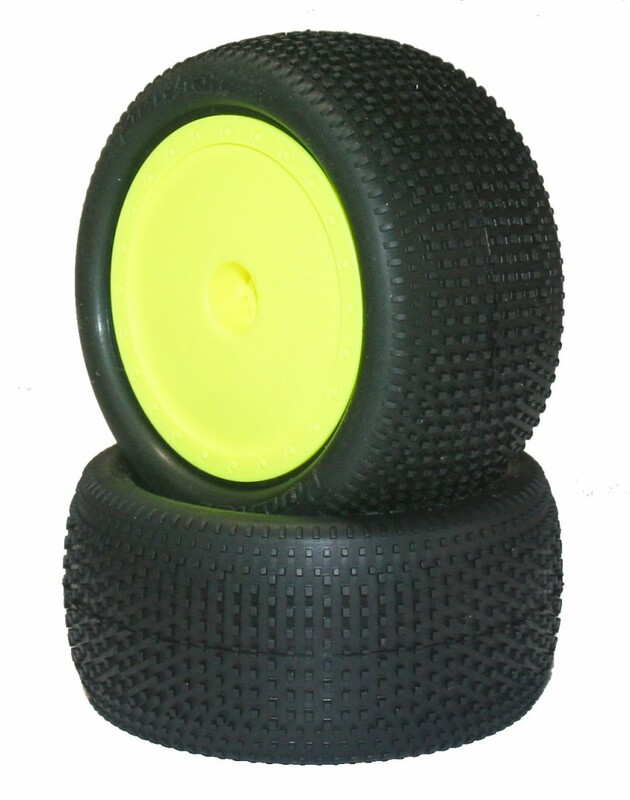 Panther adds the Ocelot (T780) 1/10 buggy rear tire to its racing line-up! Designed for today’s racers, Panther is excited to introduce the newest member to the Panther lineup, the Ocelot! Through a combination of small and dense squared pin pattern arrangements, the Ocelot was developed to provide high tire wear characteristics, while providing excellent forward traction and a consistent side bite feel. The Ocelot will excel in a variety of indoor and outdoor surfaces but is primarily suited for surfaces ranging from dusty to loamy conditions. The tire is available in all of Panthers compounds and is manufactured in the U.S.A.
Now available in Clay, Blue, Super Soft, Soft, Medium Soft. This entry was posted on February 21, 2014. It was filed under Product Info.